My daughter is a Princess. A real one. She's not famous, you don't have to address her as 'Your Highness' and you don't have to bow. But she's a Princess all the same. A Pearly Princess. 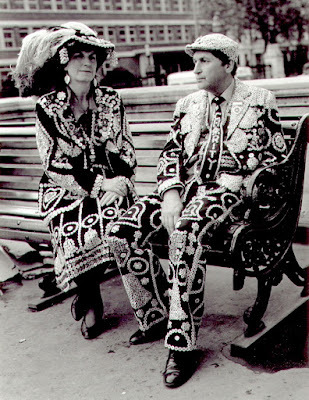 You can read the history of Henry Croft and the London Pearly Kings and Queens here, but as important as that tradition is, what matters the most to me is how it has affected my family history. 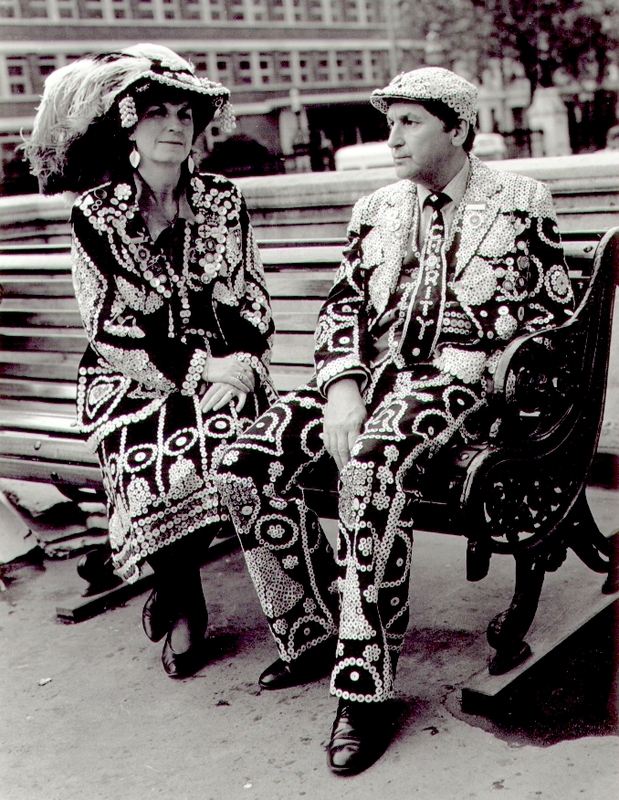 My Grandparents, Pat and Carole, had been Pearly King and Queen of Crystal Palace for years before I was born. They weren't born into it, but introduced to it after showing a passion for charity and helping others. It meant that I was born into it and that for years I didn't know anything else. My Grandparents would do tons of events, fundraisers, fetes and I would go with them as a child, in my 'buttons'. My cousins had 'Pearly Christenings' and the great friends my Grandparents had became my extended family. It tends to work out these days that Pearlies take a break in their teens. Let's face it. It isn't the coolest look at an age when looking great and fitting in is almost at the top of your priorities. But as I'd just moved to London, and lived with my Grandparents, I would have been pretty lost without the weekends spent at Covent Garden, rattling my tin to collect money for various causes. 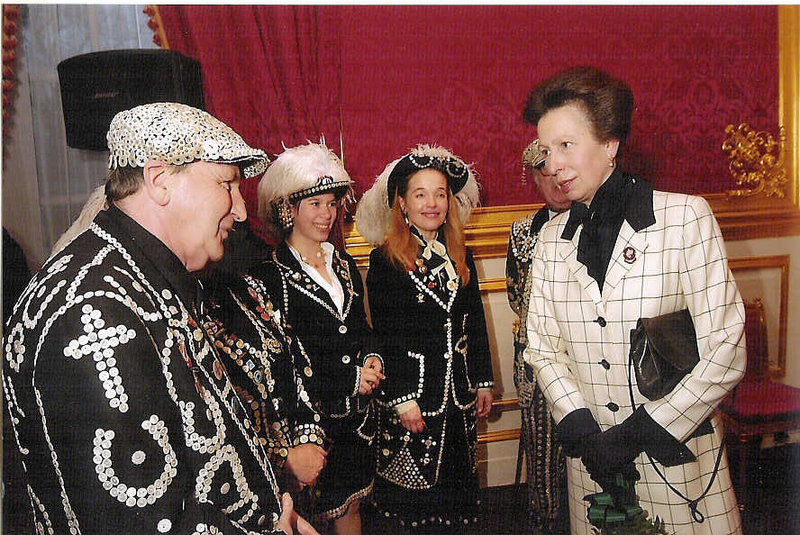 I carried on throughout my teens and uni years and became the Pearly Queen of Sydenham, the title that used to belong to my parents. Fast forward nearly ten years and now you'll find me taking my break. Living in High Wycombe, working, getting married and having children have taken up the majority of my time - it's hard enough work without having to sit and sew buttons! I do, however, still have a special suit. The Pearly suit that my Nan made for me, that my sisters and cousins wore and that is now worn by my daughter. A fourth generation Pearly Princess. She's a little young to understand the weight of tradition behind her costume but I hope she knows how proud I am to see her wear it. To see her standing with her Great-Grandmother and walking down the aisle carrying the harvest gifts.